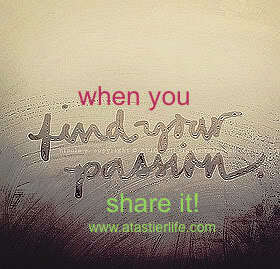 When you find your passion; share it! I was recently asked to write a Healthy Living Series for a really cool blog out of New York City, The City and Us. As you know I love health and fitness so being able to expand my audience and share my passion was an amazing honor for me. You can check out my guest spot here The City and Us: Healthy Living Series. It’s an overview of some tips and tricks on juggling mommy hood with a healthy lifestyle. What is your passion? What is the thing that you enjoy doing and think of often? I never really knew what my passion was until I asked myself this very question one day. I realized that I not only think of health and fitness often, but I also practice it, AND was and continue to be asked about health and fitness by friends, family, and random strangers I meet along the way. It’s something that whether I make money on it or not I will always continue to love and pursue. That to me is passion.